If you receive a 1099, you may be somewhat confused as to what exactly you should be doing with it. 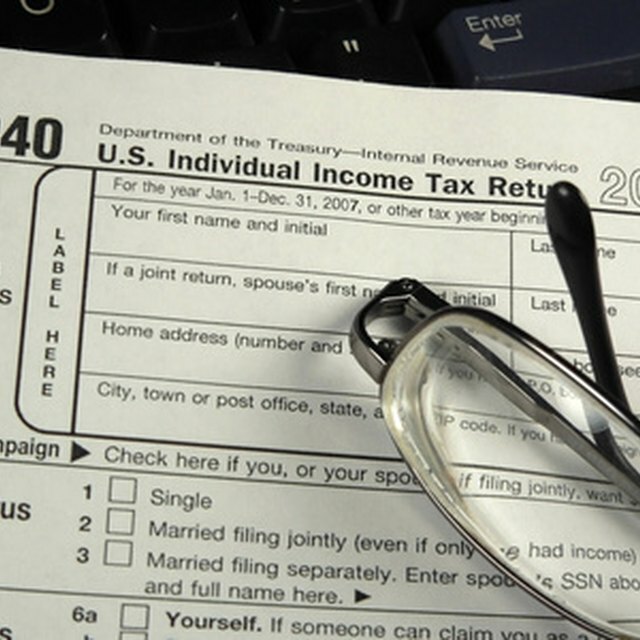 Knowing how it applies to your tax return depends on the specific type of 1099 you are using. There are over a dozen different 1099s, available. Some report taxable income, while others are more informational in nature. If you receive a 1099 and it reports some form of income, the amount reported could be taxed or offset by deductions, similar to income from a W2. Each of the various 1099 forms available is designed for specific forms of reporting. You can use the 1099-MISC form to deduct a variety of expenses related to self-employment. Because of this, the 1099-MISC is one of the most often used IRS reporting tools, particularly among freelancers and entrepreneurs. The difference between an employee who receives a W2 and one that gets a 1099 is job classification. According to the U.S. Department of Labor, W2 workers are actually employees of the business. They are paid an hourly wage or a salary, and taxes are deducted from their gross earnings. A person who receives a 1099 is technically not an employee of the business, but is an independent contractor, or a self-employed individual who contracts with other businesses to provide services. The contractor is paid either by the hour or by a contracted fee, but taxes are not withheld from the contractor's pay, because it is the contractor's responsibility to pay taxes on the income the contractor's business generates. 1099-A, Acquisition or Abandonment of Secure Property: Records the acquisition or abandonment of property. 1099-B, Proceeds from Broker and Barter Exchange Transactions: Filed by brokers and barter exchanges for each client for whom they conducted investment transactions such as buying and selling stock, futures, commodities and other investment instruments. 1099-C, Cancellation of Debt: Records that a debtor canceled more than $600 of debt that was owed to the debtor. 1099-CAP, Changes in Corporate Control and Capital Structure: Filed by corporations and sent to each shareholder, a 1099-CAP details if the company changes hands or undergoes some other significant changes. 1099-DIV, Dividends and Distributions: Reports dividends or distributions that were paid to shareholders. 1099-G, Certain Government Payments: Reports government payments such as unemployment insurance, refunds of state and local taxes or agricultural payments. 1099-H, Health Coverage Tax Credit (HCTC) Advance Payments: Details advanced healthcare payments received. 1099-I, Interest Income: Reports interest income from investments. 1099-K, Merchant Card and Third Party Network Payments: Reports the income for those individuals or businesses that accepted credit card payments, either through direct swipe to the card company or through third-party networks. 1099-LTC, Long-Term Care and Accelerated Death Benefits: Filed by insurance companies and other governmental agencies to reflect long-term care or death benefits paid to individuals or beneficiaries. 1099-MISC, Miscellaneous Income: Reports payments to independent contractors as well as payments for rents, awards, prizes and royalties. 1099-OID, Original Issuance Discount: Filed by brokers for investors who received specific types of income. 1099-PATR, Taxable Distributions Received From Cooperatives: Filed by cooperatives to reflect dividends and other disbursements paid to stakeholders. 1099-Q, Payments From Qualified Education Programs: Used to reflect disbursements made from qualified tuition programs. 1099-R, Distributions From Pensions, Annuities, Retirement or Profit-Sharing Plans, IRAs, Insurance Contracts, etc. : Reports retirement income from pensions, investment accounts and other types of retirement pay. 1099-S, Proceeds from Real Estate Transactions: Reports the sale or exchange of real estate. 1099-SA, Distributions From an HSA, Archer MSA, or Medicare Advantage MSA: Reports information about distributions from health saving accounts, medical savings accounts and medicare savings accounts. RRB-1099, Railroad Retirement Board Statement: Reports the amount of railroad retirement benefits paid to retired railroad workers. SSA-1099, Social Security Benefit Statement: Reports the amount of Social Security paid to beneficiaries. Do I Need to File a 1099 for Business Property Rental? The IRS considers any 1099 payments taxable income. If you're sent a 1099 that reports income you've received, filing a tax return with the IRS is required. It is also important to remember that issuers of the income may not be required to supply you with a 1099 if you don't meet a minimum disbursement amount. For example, if you worked as a contractor but didn't earn more than $600 in a calendar year, that client is not required to send you a 1099-MISC, although per the IRS, the client is required to report that payment to the IRS. This means that even if you don't receive a 1099-MISC, it is your responsibility to keep track of your income and report it to the IRS. Anyone who has been paid income from sources other than a traditional hourly or salaried job could receive a 1099. In some instances, the payer only has to send a 1099 if the disbursement was over a certain amount (for example, $600 is the threshold for a client to send you a 1099-MISC, while $10 is the threshold for a 1099-R ). For example, let's say you lost your job and collected $3,500 in unemployment for three months. Then you started your own business and received $8,000 in payments from clients. You're going to receive a W2 from your former employer, a 1099-G Certain Government Payments for the unemployment compensation you received and a 1099-MISC for your self-employment income. Office supplies: Paper, pens, whiteboards, paper clips or printer ink that are used specifically for the business. Office Equipment: Computers, printers, fax machines, office desks and chairs can be included as business expenses. Vehicle expenses: Oil changes, gasoline (for a vehicle used for the business), or the vehicle mileage used for business purposes, whichever deduction you decide to use. This information is also reported on Form 4562. Advertising: Website expenses, a yellow page listing, paid social media posts and other methods used to advertise your business are allowable expenses. Internet and cable: If you use your internet connection for your online business, part of those payments to your ISP could be deductible. If you watch certain shows as part of your business (for example, you review television shows), part of your cable bill could also be deducted. Commissions, fees and memberships to business organizations. If you have 1099 income of any kind, you must file either a 1040-A or 1040 tax return. A 1040-EZ cannot be filed because only W2 income can be filed with a 1040-EZ. Technically, anyone can file a form 1040 tax return, because it is the complete form with all the expenses and credits you can claim. If you are using a software program, the program or app should ask if you received a 1099, and if so which one. Once you select all the 1099 forms that apply, the software should walk you through the process of including the information and place it in the correct part of the tax return. If you are preparing your tax return by hand, the booklet that accompanies the tax forms offers line-by-line directions regarding where and how each 1099 form needs to be reported. Read the booklet carefully and follow the instructions to the letter. Since a 1099-MISC is used to report income from a business, this information goes on Schedule C, which is part of your 1040 tax return. If you received more than one 1099-MISC, then you will need to input the information from each 1099 individually, just like you would report W2s separately if you had more than one job. If you are using tax preparation software, just follow the prompts, and the software will put all the information where it belongs. If you are doing your taxes by hand, follow the directions for the Schedule C form included in the 1040 tax instructions booklet. If you are required to file a Schedule C, then the only tax form you can file is a 1040. Tax preparation software will alert you to this fact, but if you are doing your taxes without the use of tax software, this is important to remember. There is also a table in the tax booklet that helps you determine which filing form is the best to use. NOLO: How Many 1099 Forms Are There? IRS: Topic Number: 352 - Which Form – 1040, 1040A, or 1040EZ?